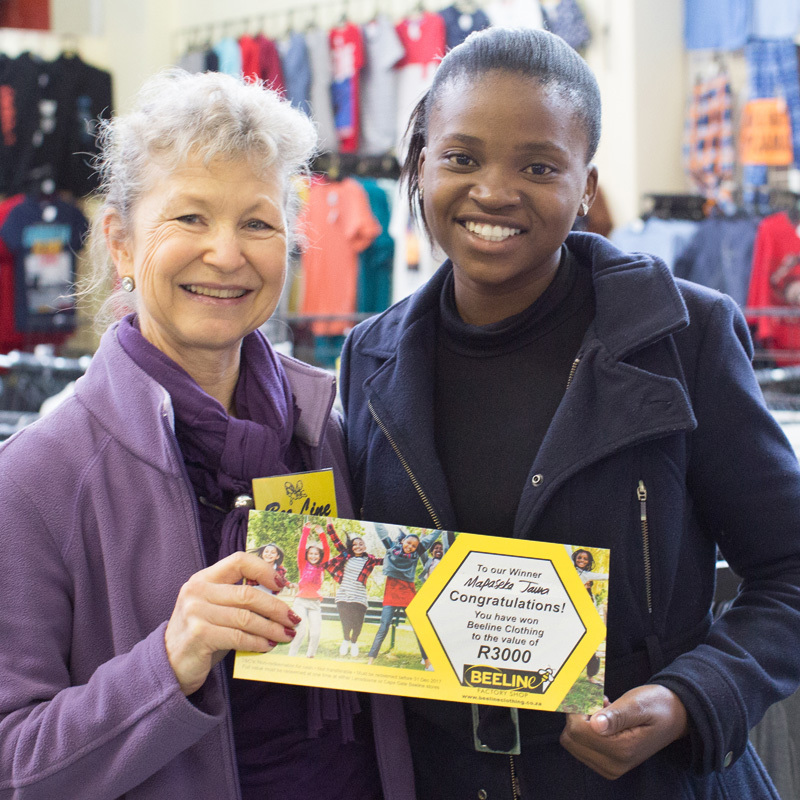 Here are some comments from people who have shopped at Beeline. 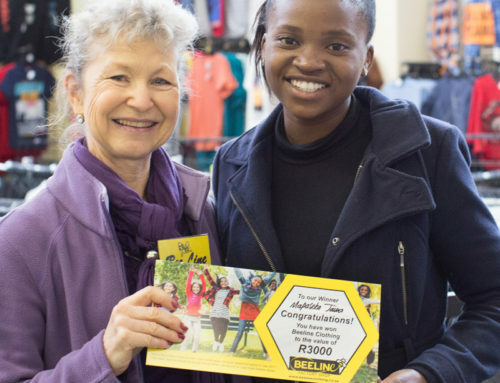 The result was that Beeline Clothing came 2nd in the annual popular factory shop competition: Thank You to all! Im a single mom and I love shopping for my son at Beeline. They have quality clothing at prices which suits my budget. This factory shop is near to my house, I can go there at anytime and purchase clothing for all the children in the family, after 22 years we have a beautiful little girl in the family again, and I am enjoying my shopping there. During the year they have great sales. It is Woolworths clothing. Quality clothing at affordable prices for the whole family!!! As a child, one of my favourite Christmas memories was joining my cousins for our annual “Christmas clothes fit and buy” at Beeline. We loved the trip, as it seemed almost as rewarding a Christmas morning. 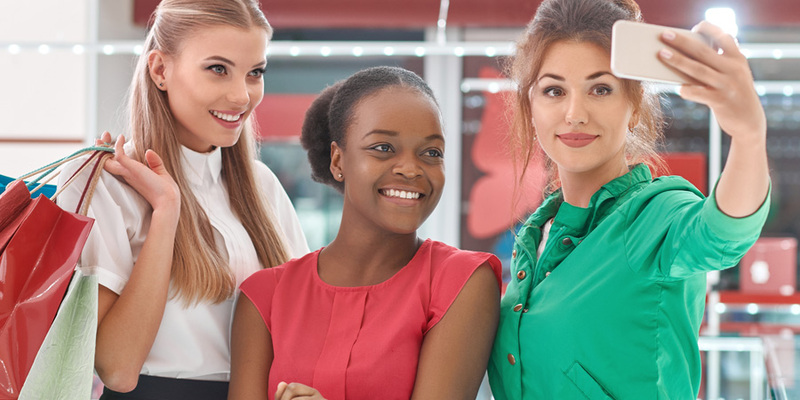 Today, I have two children of my own and needless to say, they too look forward to the “Christmas clothes fit and buy” at Beeline. I still enjoy it to this day. But this time, because of the quality and value for money guaranteed with every visit! 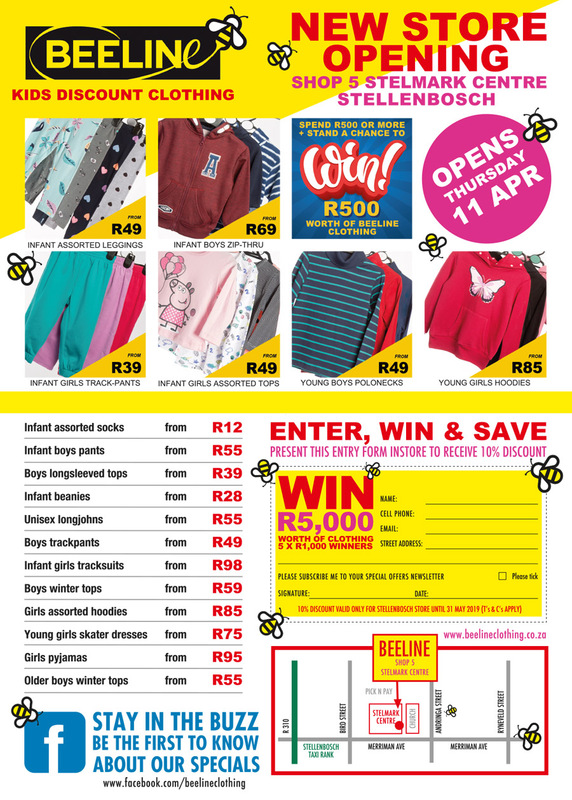 Beeline Children’s clothing factory has the most affordable, quality and wide variety of clothes. I would always recommend Beeline ! The best! Cause I am able to dress my kids at a fraction of the cost. 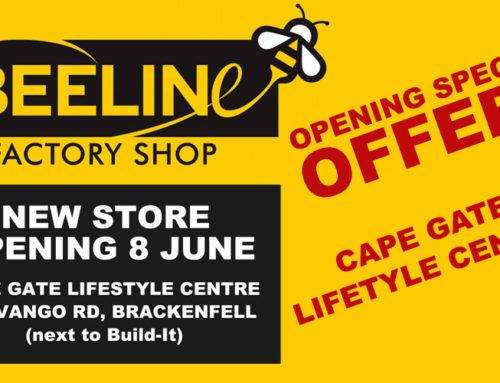 Beeline is my favourite factory because its affordable as I’m single mother of three its very very cheaper its a place to be. 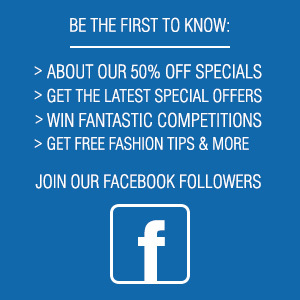 They have a variety of clothing for the children and they affordable prizes. The workers always treat you with respect and they are always friendly. I always get good deals for good quality clothes. I always get good prices on my sons clothing items. I love shopping here for my kids. Great variety, quality and doesn’t dent my pocket. Its clean and well laid out (no digging in bins) , has the very nicest staff, and the range of clothing is excellent. The prices really make you walk away feeling you’ve done well for the money spent. Its easy to find and there’s safe parking. Absolutely my favourite! Always good quality products at great price with very friendly and helpful service. Because I get good quality brands at low prices. Been a mother of 3 getting quality clothes at affordable prices is great. No need to open store cards when you shop at Beeline. I have three girls and I always get so many items for less price. 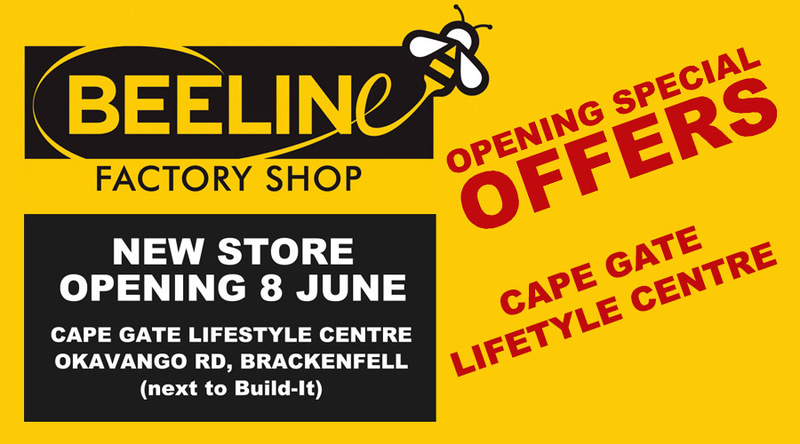 When I want to shop I don’t think twice I go to Beeline. Their staff is amazing. Because I get everything I want for my niece. Their service much appreciated, smile & friendly staff it does not matter month end or not since it’s full those dates but they always friendly. 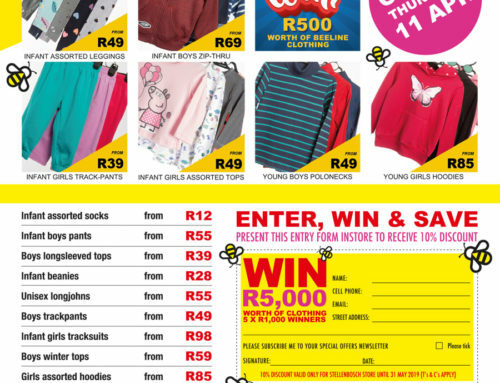 The clothes they selling for kids its quality & also the specials they normal have. Such good quality and reasonable prices! The quality of the clothing is great. they always have great specials and sell Woolworths clothing for the kids. I always find what I’m looking for , good quality clothing . They sell the Woolworths clothes at an affordable price for which my pocket very happy. Always a good selection of kids clothes, so that I can budget for seasons ahead of time. Shopping for 2 boys that grows so fast! New clothes every season. Quality but at a lower price. All ways a bargain to be found no matter what time of year it is. I always get better deals… For my kids clothes and family.